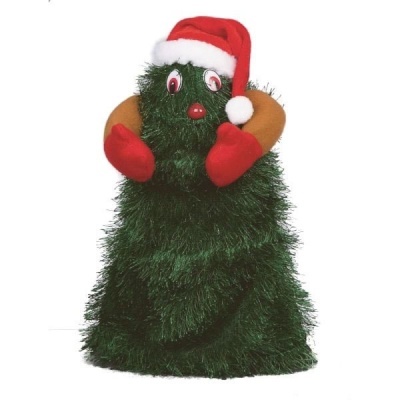 Premier Dancing Xmas Tree 28cm Battery Operated novelty Christmas tree dances to the sounds of Jingle Bell Rock. Festive fun is guaranteed in the home when this cheerful friend is switched on, activated by pressing a hidden button inside the hand! Brings a smile and a wiggle to the family home at Christmas time, suited for placing on a table top as it dances and circles to the seasonal music.